It's Friday, ladies and gentlemen! And not just any Friday, it is PAYDAY FRIDAY! Let the games begin! 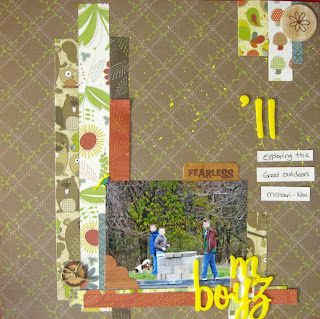 HeatherLynn of Random Recipes, Paper Crafts and Photos by HL used my newest sketch to make this great layout! She not only made a layout based on a sketch of mine, but she made it within the time of my posting of the sketch, getting off work, driving home, and making A TAG- she had made an entire layout with my sketch. If that isn't amazing, I don't know WHAT is! 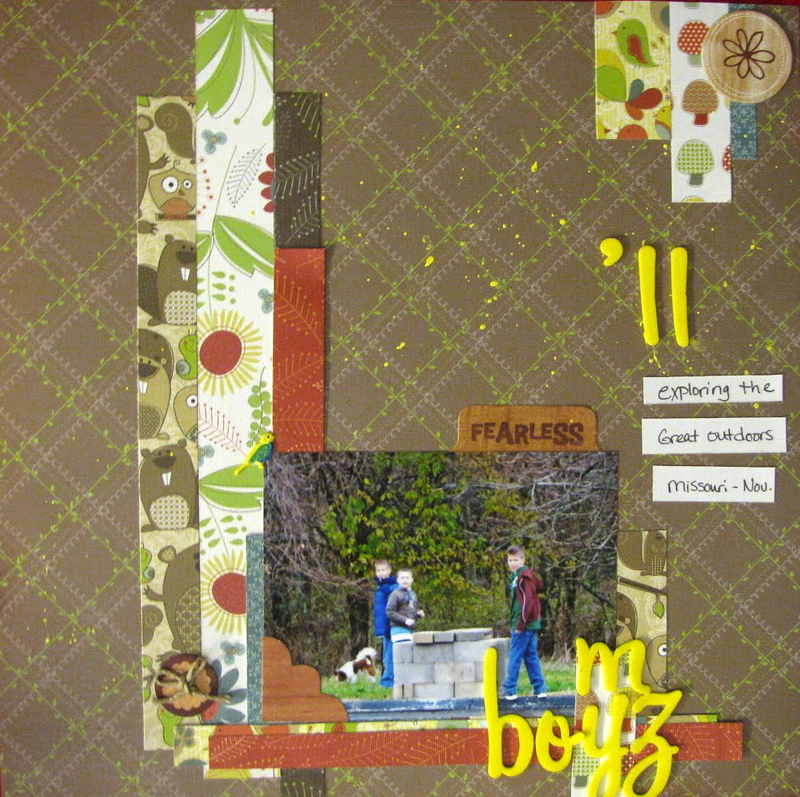 I love the yellow paint spray, love the button she added to the elements in the upper right, and really love the file tab she added just above right of the photo. That is one of the coolest things about sketches- seeing how each person interprets it in their own way! Thank you very much for using my sketch! Check out her blog and tell her Kory K sent her! What an an awesome layout she created!!! Love how the yellow just pops! Gorgeous!